Wareham, 75, passed away on January 4 after a brief battle with cancer. He was a long-time senior executive with National Sea Products Ltd./High Liner Foods Inc. and later founder and chairman of the Icewater Group of Companies. During his 55-year career in the seafood industry, he was a leader in innovation, adaptation to change and quality-focused seafood processing. Bruce was a long-serving Board Member of the Canadian Centre for Fisheries Innovation, the National Seafood Sector Council, the Marine Institute of Newfoundland and Labrador and served on the Advisory Board of World Wildlife Fund Canada’s Atlantic Chapter and was appointed to several provincial government working groups including the Premier’s Taskforce on the Economy. While his career brought him to many countries around the world, Bruce’s greatest commitment remained to the town, plant and people of Arnold’s Cove. He often modestly attributed the success he experienced in life to the people of the small outport community he called home and emphasized his first obligation was to the future of those people and their community. This commitment was the driving force behind Bruce’s decision in 2004, at the age of 61, to form the Icewater Group of Companies from the former Newfoundland assets of High Liner Foods Inc. at a time when Newfoundland cod stocks were at very low levels and the prospects for its recovery were not as encouraging as they are today. Bruce’s hard work, determination and vision not only kept a groundfish processing plant open in Arnold’s Cove, but built it into a successful operation with a worldwide reputation for quality. 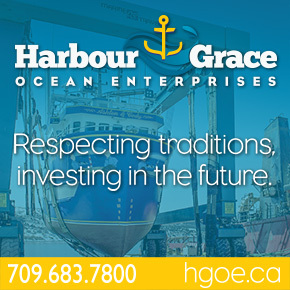 Bruce’s wife, Hilda Wareham, will become Chairperson of the Board of the Icewater Group of Companies, the family-owned business that is the second largest quota holder of groundfish in Atlantic Canada and North America’s only world-class North Atlantic cod production facility. Bruce’s son, Alberto Wareham, will continue to manage the business in his position as President and CEO and a Director of the Group of Companies. Bruce’s son, Kenneth Wareham, will continue as a Director of the Group of Companies. Burnie, 84, passed away on December 11. Born August 16, 1934 in Annapolis, N.S., he was son to the late Hanford and Bessie (Milbury) Burnie. He started his lobster fishing career with his father. After lobster fishing, he and Lucille, (mother of his children) started and operated the Viking Seafood Restaurant and Cabins. After moving from the hospitality business, he looked to the offshore groundfish industry where he worked and studied to earn the title of second engineer. Later he joined Irving as an engineer on various ocean-going tugboats where he traveled and worked as an engineer. He ended his career as a Canadian Coast Guard vessel inspector, inspecting fishing vessels, a job that he often spoke of the enjoyment it brought him to be around the fishing boats and builders. Drinnan, 70, passed away on December 3 at the Victoria County Memorial Hospital in Baddeck. He was born in Conwy Castle in North Wales. He lost his father, Herbert Parry, in a cycling accident. A few years later, at the age of nine, his mother, Marjorie Parry (Smith) Drinnan and adoptive father, Roy Drinnan, with employable knowledge in oysters, took the family through Pier 21 to settle in Bideford, P.E.I. 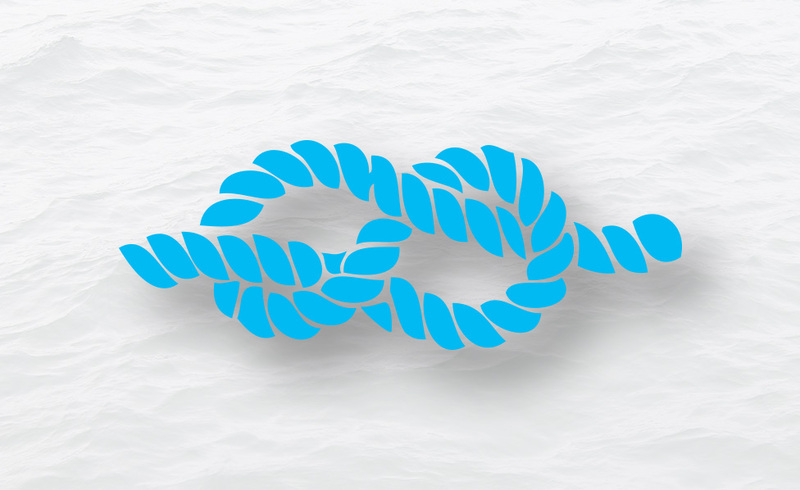 Philip was always on the water, which led him to become a sailing instructor in his teens. A true pioneer to the aquaculture industry, his inherited knowledge of oysters and passion for developing opportunities, led him to be in the earliest commercial aquaculture development in Canada in 1972, with Cape Breton Marine Farming in Victoria County. Years later, he went on from there to start his own business, Loch Bras D’or Salmon Farm in Bucklaw. He cared about and believed in the community of Waycobah where he established a fish farm, hatchery, processing facility and fishing boats as director of Fisheries and Natural Resources. Landers, 90, passed away on December 25 at the Yarmouth Regional Hospital. Born May 17, 1928 in Yarmouth, he was a son to the late Percy and Estella (Bain) Landers. He was a fisherman all his life and loved the outdoors, especially hunting and fishing. His passion was being on the ocean, fishing and lobstering on the Estaflo. Swim, 87, passed away on December 30 at the Yarmouth Regional Hospital. Born July 18, 1931 in Rockville, he was a son to the late Douglas and Annie May (Ross) Swim. A fisherman by trade, Merle enjoyed crafting and especially model boat building. He enjoyed going to the wharf in the mornings to see what the day brought for the local fishermen. Marcott, 76, passed away on December 26 at the VG Hospital in Halifax. He was the son of the late Nora (Keddy) and Henry Marcott of Stellarton. He was born in Stellarton and moved to Canso where he met the love of his life, Mamie. He did on-the-job training to pursue his career as a fisheries officer in Canso. In 1973, he moved his family to Port Hood, where he continued his career with the Department of Fisheries and Oceans, retiring 35 years later. Following retirement from fisheries, he spent another 15 years fishing on the New Moon. Power, 66, passed away suddenly in his home on December 27. Born April 2, 1952, he was a young boy when he began fishing on his father’s boat in Conche along with his brothers. With a heavy heart, he left the island briefly in the 1970s and again in the 1980s and worked tirelessly for decades at Chantler Packaging Inc. in Ontario. Upon his retirement, he finally returned to where his heart and soul belonged by the Atlantic Ocean. He spent his retirement doing what he loved most, wokring on a longliner fishing with his friends. Nickerson, 72, passed away on December 29 at the Yarmouth Regional Hospital. Born September 7, 1946, he was the son of the late St. Clair and Iona (Stoddart) Nickerson. Wilfred was a retired fisherman who truly never retired, as he spent his days working on gear in his barn, where he looked forward to the guys stopping in for a yarn. If he wasn’t in his barn, you could find him at the wharf. Scott, 69, passed away on December 20 at the Roseway Hospital, Sandy Point. He was the son of the late Ivan and Dorothy (Thorburne) Scott. He was a retired fishing captain and fisherman. Hupman, 89, passed away in Liverpool on December 25. Born in Hartford, Conn., she was a daughter of the late Meredith and Ruth (Payzant) Wagner and, at the age of nine months, Lorraine and her family moved back to Nova Scotia. She worked at White Point Beach Lodge in her earlier years and later with C.W. McLeod Fisheries in fish processing. Paul is no stranger to the yacht and powerboat business. Paul has more than 40 years of experience in the industry, specializing in rigging, cosmetics, structural composites and project management. 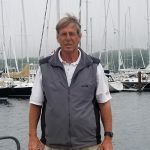 He has represented Canada in eight Sailing World Championships in various classes and is a four-time sailing National Champion. In addition, Paul has competed in 13 Marble Head to Halifax Races. 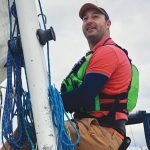 Matt spent 10 years as a professional sailor, working on tall ships, multihulls and monohulls, including three years of teaching at the United Kingdom Sailing Academy in Cowes, England. In addition, he was project manager for the Arctic Research Foundation, overseeing the purchase, complete overhaul and crewing of a 65-foot fishing trawler converted to a science vessel which played a lead role in the search and discovery of Franklin’s lost ships, the Erebus and Terror. Prior to that, he worked as a sailing coordinator at numerous summer camps. Matt brings an equal amount of enthusiasm and experience to Ocean Yacht Sales and looks forward to working with clients in Atlantic Canada. Blewett had previously served as Deputy Minister of Fisheries and Oceans. The appointment was effective January 7, 2019. Sargent had previously served as Deputy Minister for International Trade. The appointment was effective January 7, 2019. No Dead Whales in the Gulf — Now What? No Replies to "The Twine Loft - February 2019"